Glamor Steampunk Statement Necklace, Green, rhinestones, Antique key hole, Neo Victorian, Avant Garde Bridal or Prom neck piece, OOAK. Designer vintage couture necklace by Marelle. 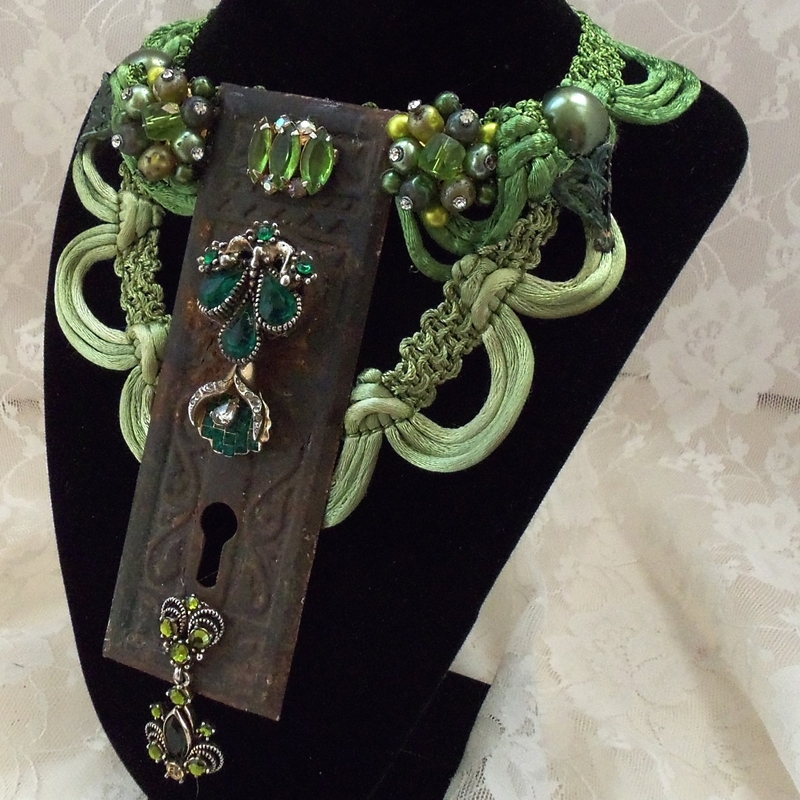 Vintage silk ribbon adorned with a rustic antique Key Hole and glamorized with vintage rhinestone jewelry and beads. Perfect steampunk bridal necklace, the groom holds the key to the bride to be. This stunning work of art neck piece measures 6.50 inches down in the center and is 7 inches wide in the center. The length on this is made to be customized for your desired length. Just note length when ordering.